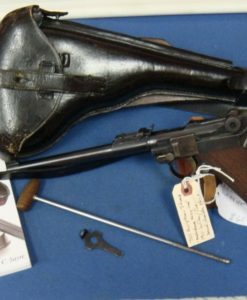 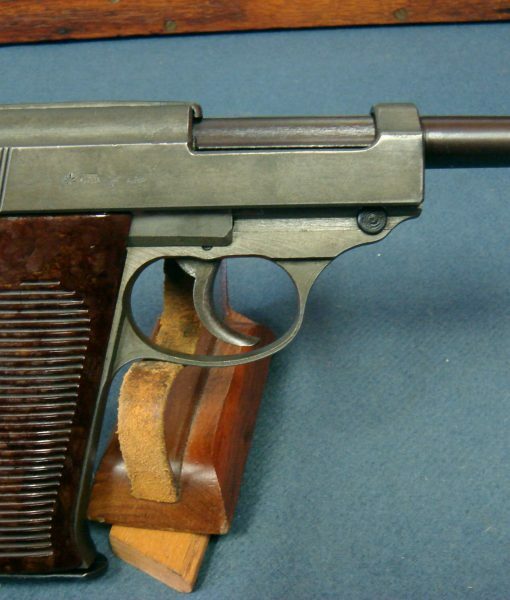 SOLD VERY SCARCE MAUSER MADE P.38 PISTOL WITH FN ac43 SLIDE……DUAL TONE….MINT SHARP! 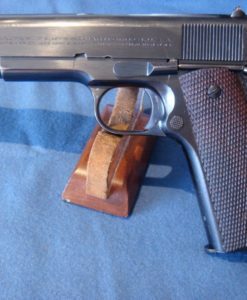 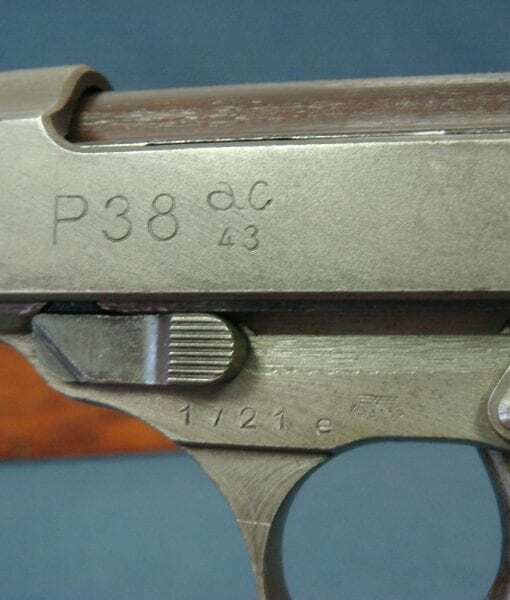 In 97% mint sharp all matching condition with a mint bore, we have a very scarce and seldom seen Mauser made Stacked ac43 FN slide P.38 pistol. 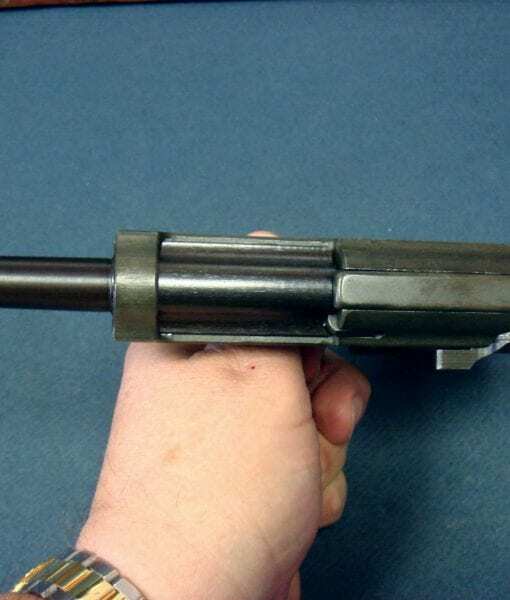 This is an early “e” block pistol. 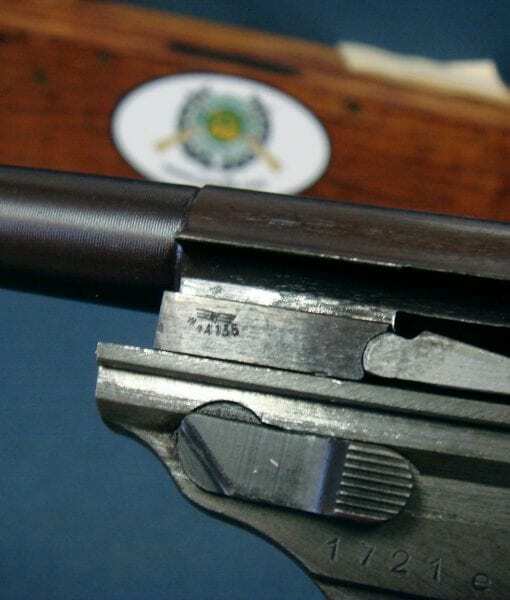 The finish is the very desirable mixed blue and phosphate dual tone with a greenish tint to the phosphated frame and slide which is highly sought after. 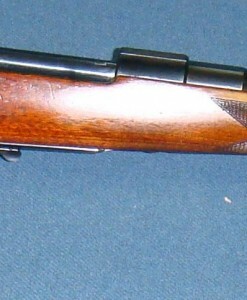 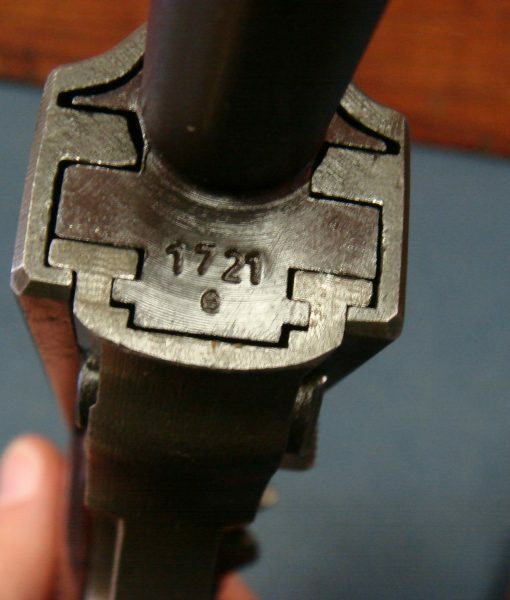 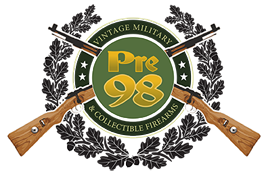 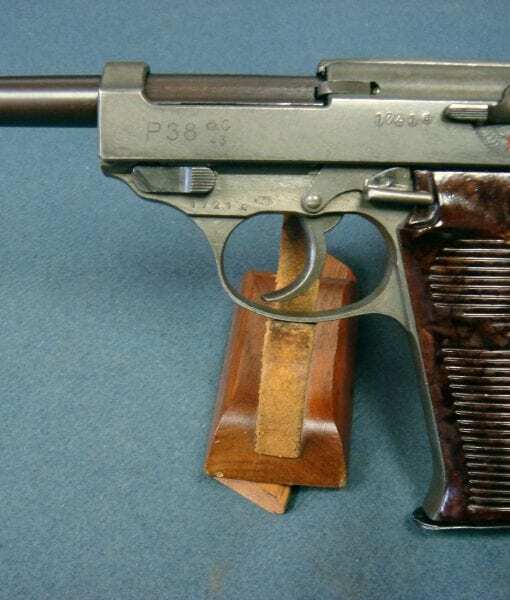 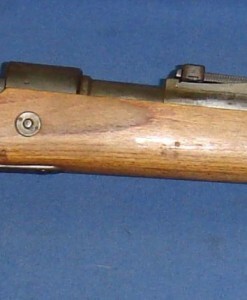 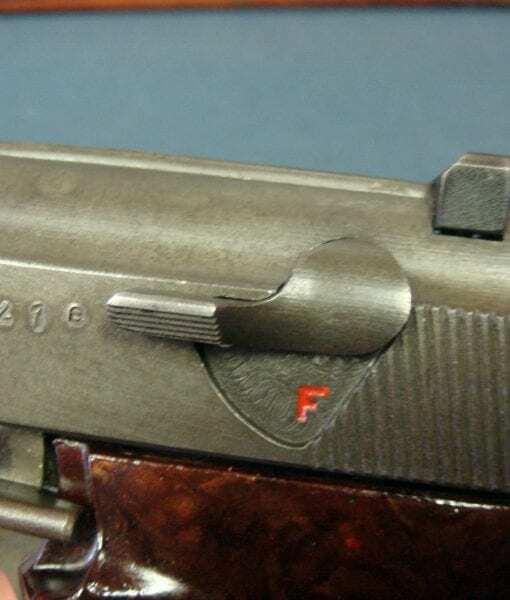 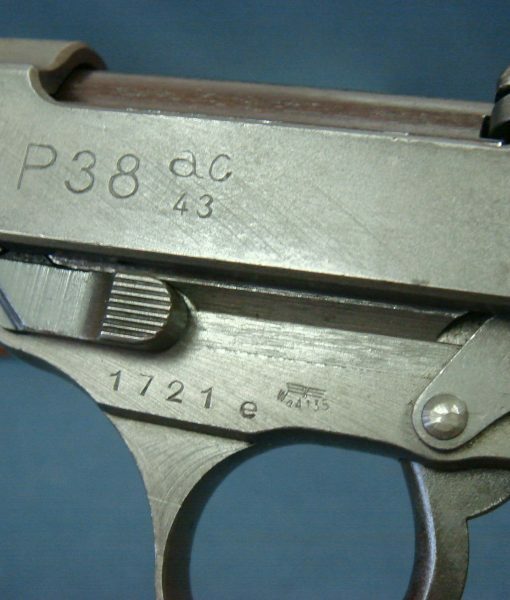 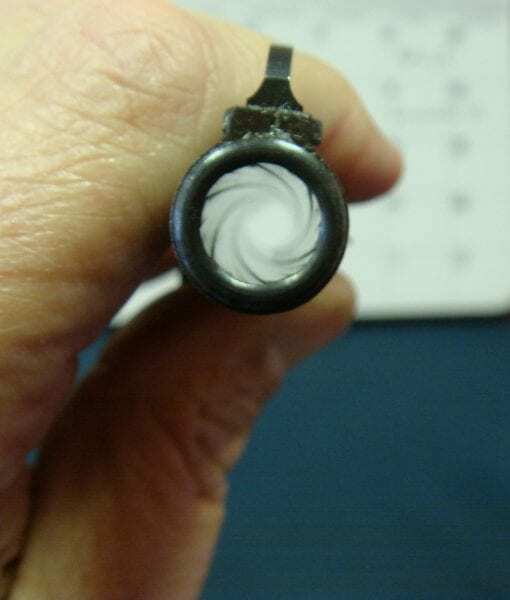 The FN slide Mauser made P.38’s are very distinctive looking and are quite rare and highly sought after by collectors. 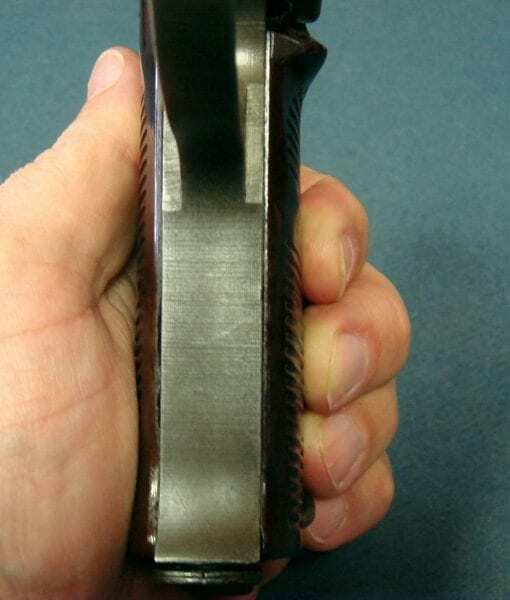 This slide is even more desirable by the fact it has an asterisk stamp, which probably indicates it was a rejected part that was corrected. 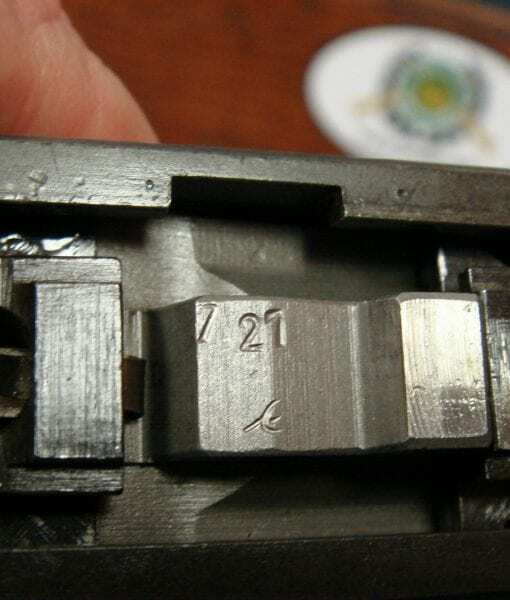 This is a rarely seen stamp that adds to the pistol. 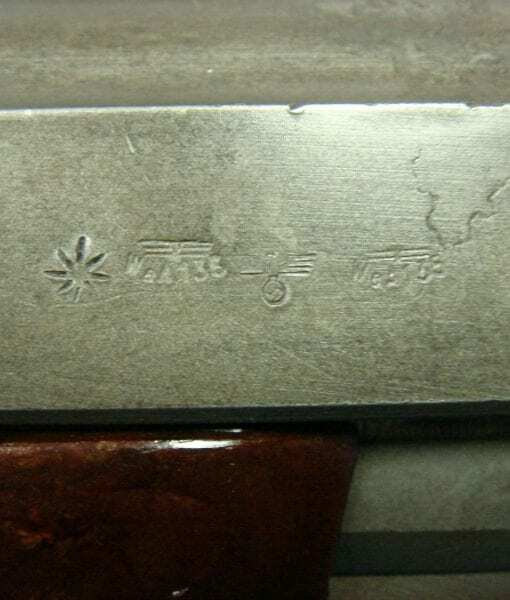 This is a very crisp textbook example that will sell very quickly so it you are lucky enough to see it first you definitely got a score.